“Not dissimilar to a normal pin cushion flower, ‘Drumstick’ has 8cm (3½”) pale blue flowers. 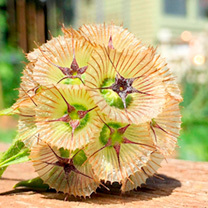 However, when the seed heads form, they come into their own. 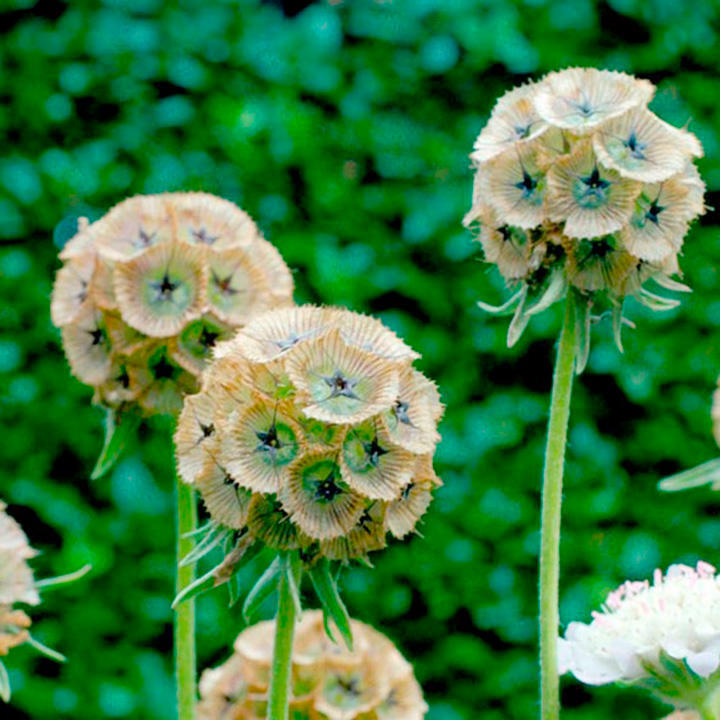 They turn into globular, creamy bronze coloured seed heads that look almost out of this world. It’s not until you show people that they are actually a plant growing in your garden, that people will believe that you didn’t buy them from another country. 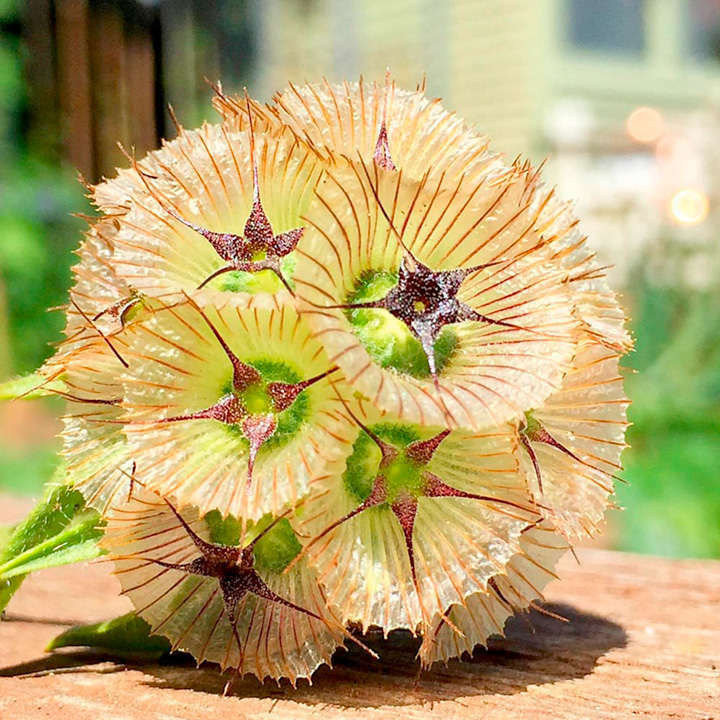 These plants make stunning cut and dried flowers. Used in smaller arrangements, they are guaranteed to draw the eye and thrill anyone who sees them.” Height 70cm (2½’). Sow February-May in trays of good quality seed compost. Place in a propagator at 15-25°C (59-77°F), or place in a clear plastic bag on a sunny windowsill. Pot resulting seedlings on into 7.5cm (3") pots on trays and feed monthly until they form good, small plants. After the last frost, plant out at 30cm (12") spacings. Ideal for beds and borders, patio pots and containers. Suitable for cutting.